It’s not unusual for our guests to ask our receptionists and members of staff if they can recommend any good walks in the Lake District. After all when you come to stay with Lake District Hotels, 9 out of 10 of our guests are here to enjoy the beauty of the area and want to get outside and explore. It was for that reason that we decided to produce our very own walking book especially for those who come to stay in our hotels. 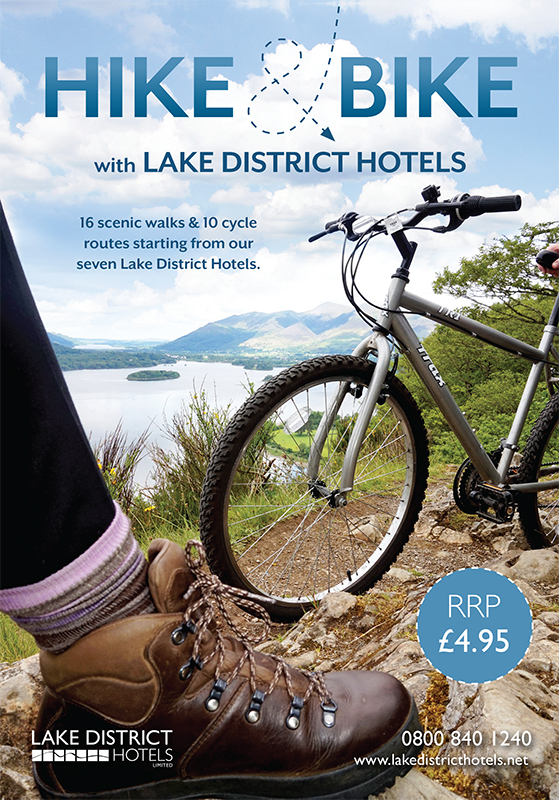 Following on from the success of our ‘Walk the Lakes’ book and the increased popularity of cycling trips to the Lakes, we decided to add ten detailed cycle routes and maps, all starting from our seven hotels. Hike & Bike with Lake District Hotels is now available to our guests for free if you have booked onto one of our walking breaks. Alternatively you can buy the book for just £2.95 from reception for residents and £4.95 to non-residents. Using the expertise of Cumbrian-based writer, Vivienne Crow, and local cyclist Chris Hope, the walks and cycle routes have been written so that they start and finish from the doors of our seven hotels, with 16 walks and 10 cycle routes in total covering Borrowdale Valley, Keswick, Ullswater and Eden areas. Dani Hope, Marketing Director of Lake District Hotels, said “The Lake District is a truly magical place and I hope our ‘Hike & Bike’ book will appeal to our guests, their friends and families.